Happy Friday! Last week one of my favorite bloggers Taylor tagged me in her Running Favorites post. If you haven’t checked out Taylor and Jesse’s blog definitely go take a look. 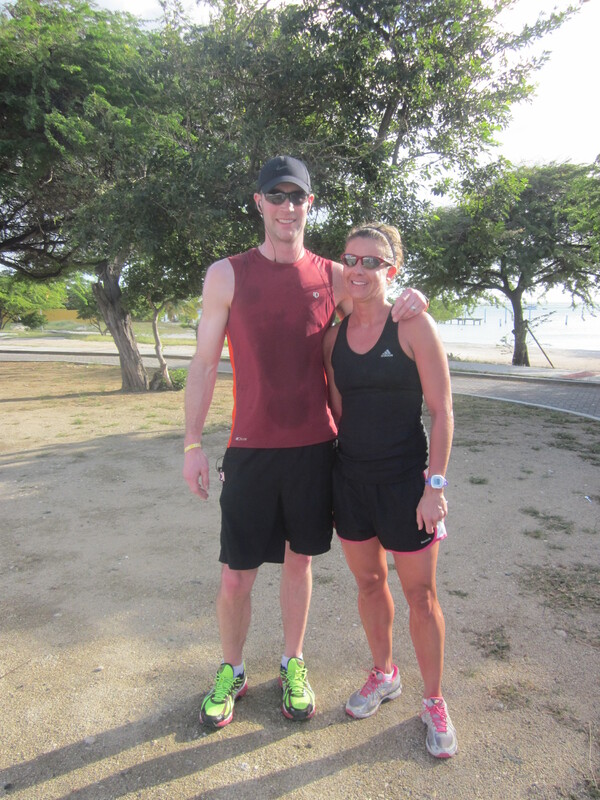 This couple shares a love of running, fitness, and life. Taylor also runs in some of the prettiest places ever. I am always jealous when I see her latest running pics. Since we split our time between Chicago and NYC quite a bit I have to give a little love to both. When I am in New York I most enjoy running on Randall’s Island but my absolute favorite is running the rail trails just north of the city. One spring Rock and I trained for a marathon together and we took our long runs to a different location every Saturday to mix up our training a bit. We had so much fun researching new trails and paths and then often stayed the night in a new town and did it up with dinner and drinks after. It was by far one of the best and most memorable springs ever. In Chicago I really enjoy running on the Lakefront Path. Lake Michigan is incredibly large and crystal clear. Growing up with Lake Michigan practically at my back door I never realized how unique this was until I started living in different places and saw other “lakes.” You can’t beat a breeze off of the water in the summer or the chance to jump in after. I also have to give a shout out to our house in Michigan. Although this place is hillier than I would like, it does give my legs the hill work I lose out on in flat Chicago. 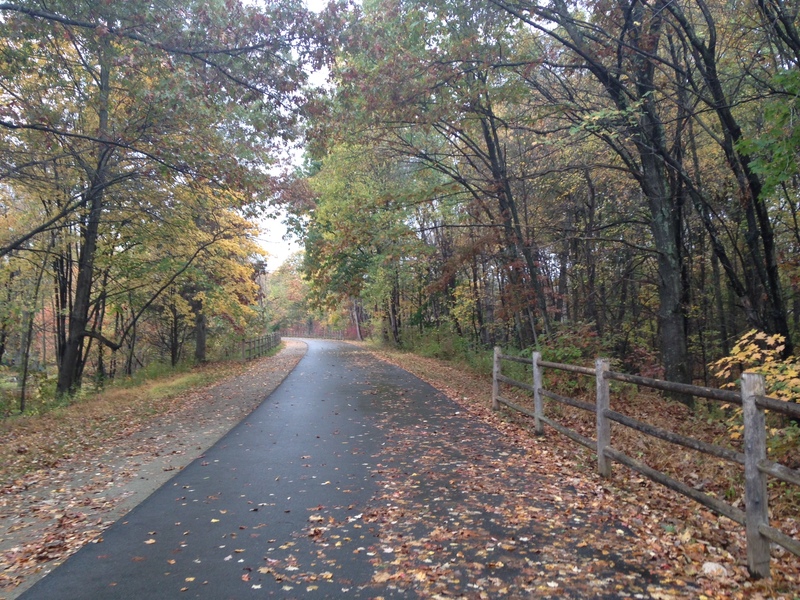 Running on the rural, wooded roads is so beautiful. 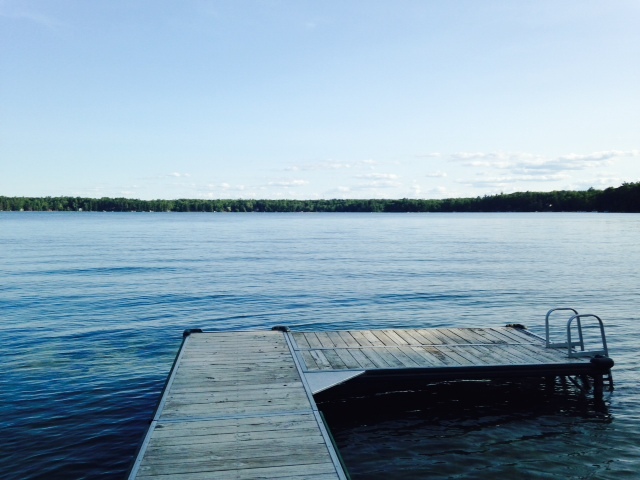 And you can’t beat jumping off the dock and into the lake in your running clothes right after. This is one I am not too picky about. These days I am relishing any extra moments of sleep that I can get. I most prefer a late morning run after a great bowl of cereal and some coffee. But I also love an evening run to mix things up a bit. Sometimes when I am tired in the evening I surprise myself the most with paces that I never would expect. I love spring. Right now is my favorite time of the year, followed by summer. I hate really hot and humid runs. But I don’t mind a 70 degree sunny one where I feel like my legs might be getting a little color along the way. 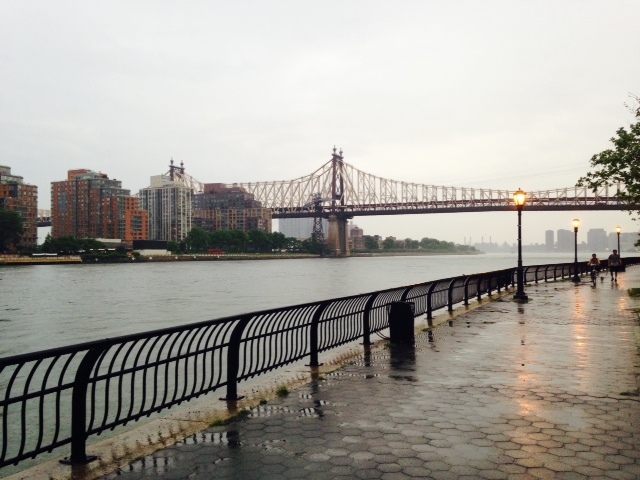 I also find rainy runs to be super fun. They always remind me of being a kid again and jumping in puddles. I am not a big fueler on the run. If I am doing a long run I have a bagel (a big one) with cream cheese or peanut butter. This tends to get me through to about 20 miles. If I do need fuel I like Gatorade Chews or Pocketfuel nut butters. 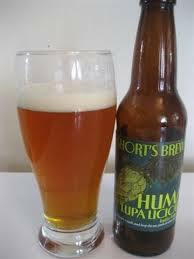 Once upon a time I used to love a nice IPA or flight of beers from a local microbrewery. Oh and once upon a time I could eat a big deli sandwich…..Don’t get me wrong, I love being pregnant. But I do miss these two things about post long runs. 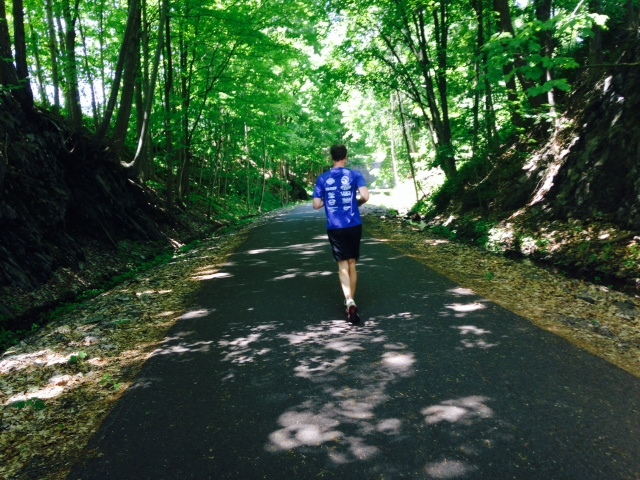 One time Rock and I did a 20 miler up in Middletown, NY. As we were getting started a guy stopped us to chat and mentioned that a local brewery was hidden behind a sporting good store in the parking lot we were standing in. It was only open on Saturdays and they did free tastings. Rock swears the thought of free tastings got him through at least the last 5 miles. That was an awesome way to end a long run! 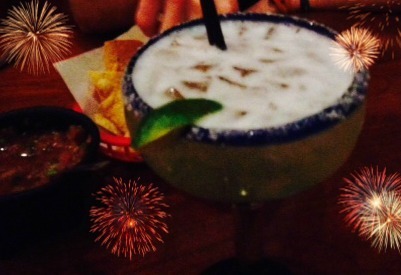 Margaritas are fuel too right? This Friday I tag all of you who wish to participate. I would love to read about your favorites. Have a great weekend! I love spring. It makes me so happy to see green growing on the ground and trees again. The warmer weather brightens my mood. Even my allergies can’t get me down….too much. 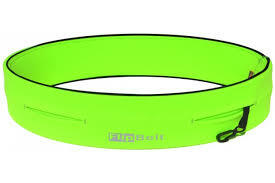 Flipbelt: Surprisingly most of this list is not running related but this is a recent find for me. After using the SPIbelt for as long as I can remember I decided to make a switch. Over the winter I was at the gym for quite awhile and didn’t need a place to stash my phone. While we were in Florida I put my phone in my SPIbelt and couldn’t figure out what the random bruises were on my waist. I’m not sure if it was because of my growing belly or because I hadn’t used one in awhile but it lead me to take a look at the Flipbelt. I am a new convert. This sits perfect under my growing belly and holds a lot of crapola. I can easily fit my phone, keys and cash/credit cards (all essentials for longer runs). These days safety is an even bigger concern for me so I love having all of this safely right up against me. The belt doesn’t bounce around at all and would be perfect for anyone needing to carry plenty of fuel. Polar Seltzer Water: Whenever I come to NYC I get so excited about drinking Polar Water. I love sparkling water and during my pregnancy I have been addicted to it. LaCroix is my usual go to, but on the East Coast you can find Polar just about anywhere. What I love about this brand is their vast array of flavors with zero calories, sweeteners, or anything else. My all time favorite is Orange Vanilla because it tastes like a creamsicle. But they also carry fun seasonal flavors like cucumber watermelon and chocolate mint. And yes, chocolate mint is awesome and not weird at all! Last spring when we were here I would go for super long runs every Saturday morning and time my runs out to end in front of the grocery store that carried the biggest selection of water. I would even run back and forth on the block to get my mile in because I craved this water so badly. I would leave carrying at least 6 one liter bottles at a time. 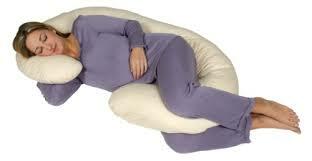 The Snoogle: I am now at the point in my pregnancy where I am not supposed to sleep on my back any more. Talk about making a lady go crazy! But I discovered this amazing body pillow and life has gotten much better. This pillow has a unique shape that allows you to fit your head and neck in one end and wrap your legs around the bottom. Tired of sleeping on one side? Roll over and the pillow basically holds you like a set of warm arms. You can also bend and fold it into all sorts of shapes for comfy lounging. I read a review online that recommended you not share this with your partner because they might end up stealing it from you! 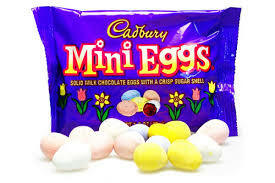 Cadbury Mini Eggs: These things make wish we had Easter all year long. My husband knows how much I love these and kept buying bags for the car (remember our car snacks?). I read on another blog that someone referred to these as M&M’s on drugs and I cannot think of a better description for them. They have a nice crisp outer shell and then a ton of smooth delicious chocolate inside. I’m not sure what I am going to do for the next 11 months when we run out of our stash. What are you recent faves that you can’t get enough of? I was tagged by one of my favorite bloggers irishrunnerchick to share some of my running faves. I loved reading hers and it is always flattering to see yourself tagged for something fun like this. So thanks and here goes…..
1. Location: Trail, Road, or Indoors? I definitely end up using all of these throughout the year. But I absolutely love trail running and wish I could do more of it. Between Chicago and New York City I don’t get a lot of trail running opportunities. However, when we are in Michigan I love to throw some trails in. 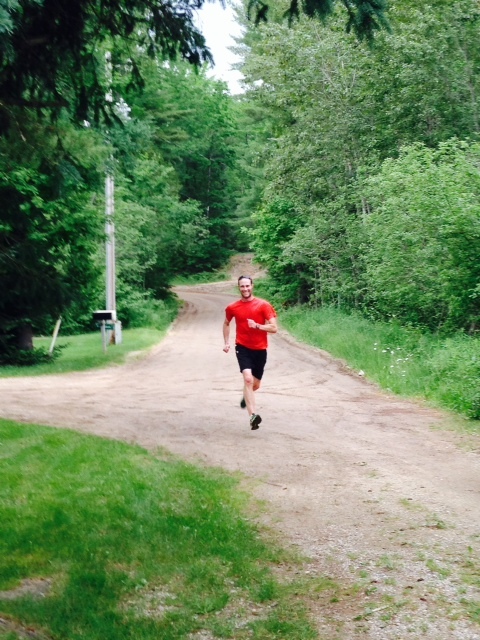 There is a ski resort very close to our house and they have some great cross country trails open to the public in the summer. One word. Gorgeous! 2. Time of Day: Morning, Noon, or Evening? I usually prefer to get my runs in during the morning hours, although that is getting harder and harder as I want to sleep more these days. While I like morning runs, I definitely don’t mind an afternoon workout and sometimes my evening runs are my best or even fastest. Basically I can run and am happy to run at any hour. I really do like mixing it up and don’t force myself to stick to one routine. If I wake up and my body or mind isn’t feeling it, I let myself make an alternate plan. 3. 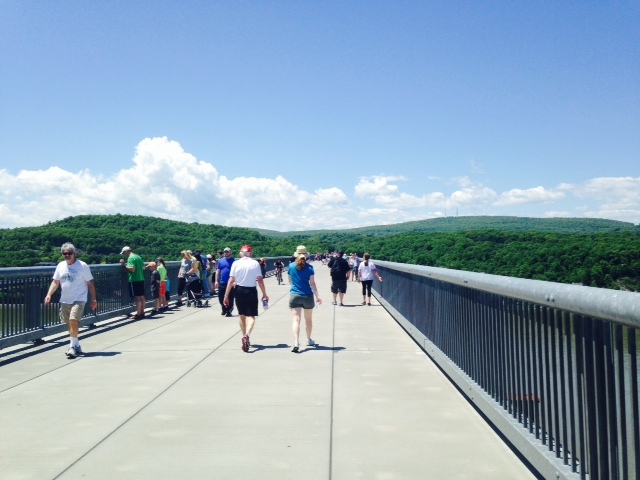 Weather: Sunshine, Mild, or Hot? I love my warm weather. My ideal temps are in the 50’s to 60’s. I don’t fair well in hot and humid and have been known to pout and cry my way through runs. But I do love warmer temps. When we went to Aruba two winters ago during one of those nasty polar vortexes we were so excited to be running in the warmth again that we managed 70+ miles during our week long stay! 4. Fuel: Before, After, and Sometimes during? If by fuel you mean food, well then yes please! Just kidding. I am a pre-run fueler. I would love to say that for shorter runs I don’t need to eat anything. However, the truth is that I am a breakfast girl. I have a bowl of cereal (or two) sans milk for breakfast most days. I typically run 7-9 miles per workout these days and I think my body responds well to this plan. For longer runs I like a toasted bagel, scooped out with peanut butter and jelly or chive cream cheese. I find this is the perfect combination for keeping my stomach happy and I can make it about 20 miles on that alone. When I do fuel for a longer run I typically use nut butters these days, like Pocket Fuel or Justin’s. But I also love Jelly Belly’s and Gatorade Chews. 5. Accessories: Music, Watch, and more? While I often forget to accessorize when I go out on the town (not for lack of owning a bazillion accessories). But when it comes to running I don’t skimp. I actually wear my RoadID at all times. I had to be reminded on our wedding day to take it off before the ceremony! Safety is key for me and instead of worrying about remembering it for each run I just leave it on. I also always take a Garmin. I do get fed up a lot during these annoyingly cloudy days when it is chilly and takes forever to connect so I often just run without turning it on. Sadly I know the mileage down to a tenth of the mile for just about any run. I do like to run to music so I take my phone as of late and just find a Pandora station. 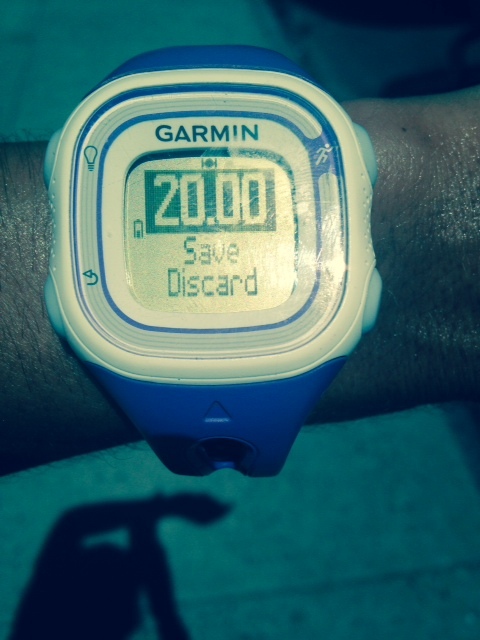 I save my playlist on my iPod for a really long run or for post baby marathon training! 6. Rewards: Food or wine or…..? All of it, minus the wine right now. But seriously I think about food a lot during runs; especially long runs. Right after finishing I look forward to a nice tall glass of cold chocolate almond milk. The thought of that keeps me going for miles on a hot day. On longer runs I also dream of what we will do for a dinner night out. I love going out for Mexican but have no self control with tortilla chips on the table so I made queso fundido at home a few weeks ago (recipe coming soon!). I’m not going to lie. I also love my wine and beer. I love a generous pour of white wine or prosecco, or Vueve Cliquot for special occasions. And I adore a good IPA. In fact I love, love, love going beer tasting post long runs and trying a flight at new microbreweries. Baby Dudek has put all of this on hold for a bit but I really don’t miss it. However, I am definitely looking forward to a post baby imbibe. This is my absolute favorite beer. If you end up in Michigan don’t forget to grab a Short’s. Thanks again irishrunnerchick for the tag. This was really fun and much easier than me figuring out 7 things you don’t know about me! I have a few bloggers I want to shout out to and offer up the chance to share their answers. But please tag yourself and share these too. I would love to read your responses as well.